While many major tech companies are increasingly looking to improve people’s health with gadgets and services, Amazon is trying a different approach to get into medical tech. The Wall Street Journal notes that the Seattle giant has started selling software that can mine patient data to doctors and hospitals. The company says that the software will read and analyze patients’ digital records to extract key data points, so their doctors and hospitals can improve treatments and reduce costs. The company said that in the testing phase the software examined records of diseases, prescriptions, lab orders, and procedures, and managed to perform on par or better than other digital tools out there. Currently, the team is trying to refine the algorithm via deep learning to overcome obstacles like typos, abbreviations, and doctors’ distinct descriptions. It has also partnered with Fred Hutchinson Cancer Research Center to analyze data to train its algorithms to select patients who might be eligible for drug tests. “We’re able to completely, automatically look inside medical language and identify patient details including diagnoses, treatments, dosage, and strengths, with incredibly high accuracy,” the general manager of artificial intelligence at Amazon Web Services, Matt Wood, told WSJ. Let’s not forget that Amazon is an ecommerce company and it might want to sell you medicines. In June, it acquired online pharmacy company PillPack for $1 Billion, which has a presence in 49 US states. The company is certainly aiming to be a major medical supplier to hospitals. 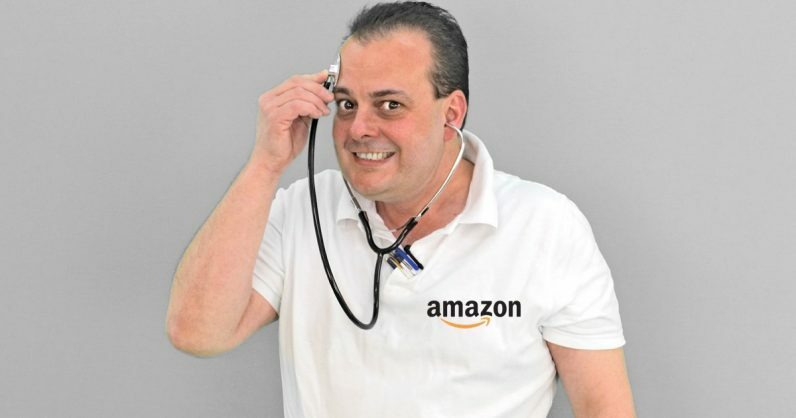 Amazon recently teamed up with Arcadia group to sell health monitoring devices. The tech giant also has a patent that will allow Alexa – Amazon’s AI assistant – to detect a cough or cold and suggest medicines. A treasure trove of patient data can certainly help its ambitions. However, Amazon says that the software that takes advantage of AWS, and encrypts all the data, so no one apart from the customer can see it. The company is set to launch the software today. Google has also joined hands with hospitals to provide a cloud-based API that organizes patient records. According to a report by Grand View Research, medical data analytics industry is worth $7 billion. Amazon surely wants to grab a slice from that.